These boys have to be one of my favourite mixtape collectives. Their mixes are always well presented with sick artwork, the tracks are already rare and above all the mixes are all delivered nice with no weak recorded blends or freestyles! 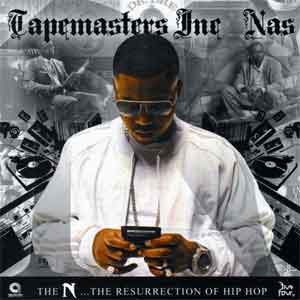 Tapemasters is a guarantee of quality, so I knew this Nas mixtape would be ill. I was right too, it’s absolutely heavy. Even to the extent of me saying you might have the ‘Hip-hop Is Dead’ album but trust me you need this in your collection too. For a start you get thirty-five tracks including some unreleased material, interviews and collobo’s. Its proper heavy and the fact that Jay-Z, Big pun, Reakown, Ghostface, Ludacris, Doug E. Fresh, Busta, Kool G Rap, Clipse, Biggie, Pac, Diddy, Cee-Lo, Lauryn Hill, Common and many more feature is a pure bonus too. This is something that Nas fans need… trust me, I been buying records with Nas on since ‘Live At The BBQ’ and this is essential!